When you work with a corporation or organization engaged in secret, unethical and illegal behavior, your conscience is constantly fighting with your survival instinct. You want to do the right thing, but you're worried about your family and your livelihood. You need skilled legal representation that understands the complex statutes involved. 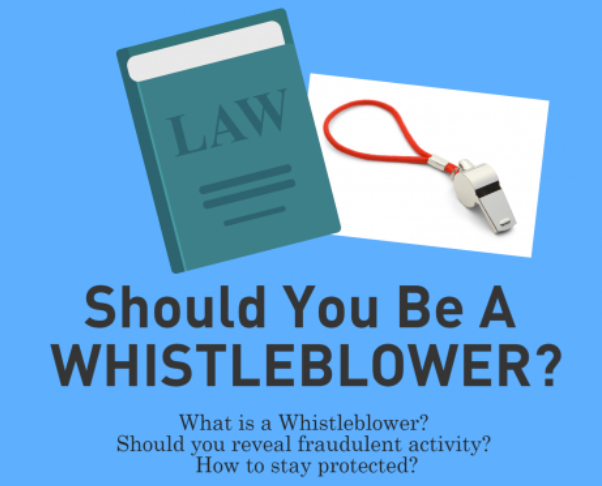 You need a whistleblower attorney who will represent you and protect you from retaliatory actions by your employer. We believe in representing you with skill and passion. Whistleblowers are crucial for a safe and efficient economy, and we make sure you have the protection you need. If you live in the Atlanta, Georgia area and find yourself in need of a whistleblower attorney, please call Watkins, Lourie, Roll & Chance, PC today at 404-760-7400 for a free consultation. We respect and applaud your desire to step forward and blow the whistle on corrupt or unethical practices. But the way you choose to do so is crucial. There are state and federal laws protecting whistleblowers, but they also regulate the method by which you blow the whistle. And how do company policies regarding public disclosure and corporate secrets factor into the decision-making process? Don't hesitate to arrange a consultation with our whistleblower attorneys. We want to hear your story, discuss your situation and help you in any way we can. If you live in the Atlanta, Georgia area and you need the learned advice and counsel of an experienced whistleblower attorney, please contact Watkins, Lourie, Roll & Chance, PC today for a free consultation.